Bringing a scrupulous and informed eye to God's word, the Spirit Filled Life Bible is an in-depth way of experiencing the Bible. One of the most popular study Bibles among charismatic believers. Dr. Jack Hayford, founding pastor of The Church on the Way, has led a team of anointed leaders to produce the New Spirit-Filled Life Bible, which offers a fresh look at the Scriptures and the work of the Holy Spirit. This new edition addresses important issues of Spirit-filled living in the context of solid biblical scholarship. 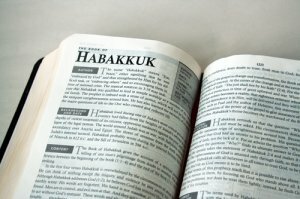 Readers will be glad to see the popular "Word Wealth" feature and the "Kingdom Dynamics" feature throughout the Bible. A new generation of believers seeking to become biblically equipped for kingdom building will eagerly read and embrace the New Spirit-Filled Life Bible. Receive Bible teaching and encouragement from Spirit-filled leaders. Learn to bring the Bible into your prayer life. 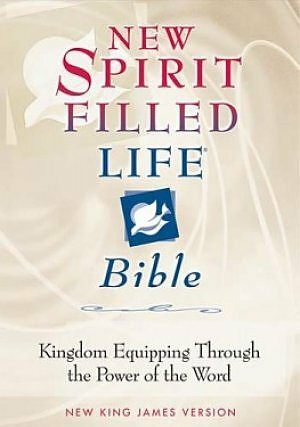 NKJV New Spirit Filled Life Bible: Black, Bonded Leather by Thomas Nelson was published by Thomas Nelson in January 2001 and is our 11237th best seller. The ISBN for NKJV New Spirit Filled Life Bible: Black, Bonded Leather is 9780718001483. 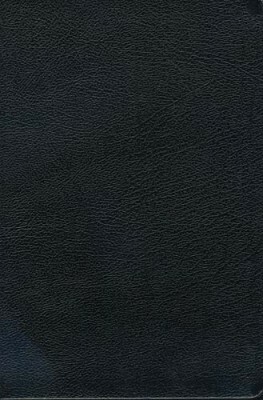 Be the first to review NKJV New Spirit Filled Life Bible: Black, Bonded Leather! Got a question? No problem! Just click here to ask us about NKJV New Spirit Filled Life Bible: Black, Bonded Leather. Please could you tell me the difference between bonded leather and genuine leather as I'm a bit reluctant to purchase one .